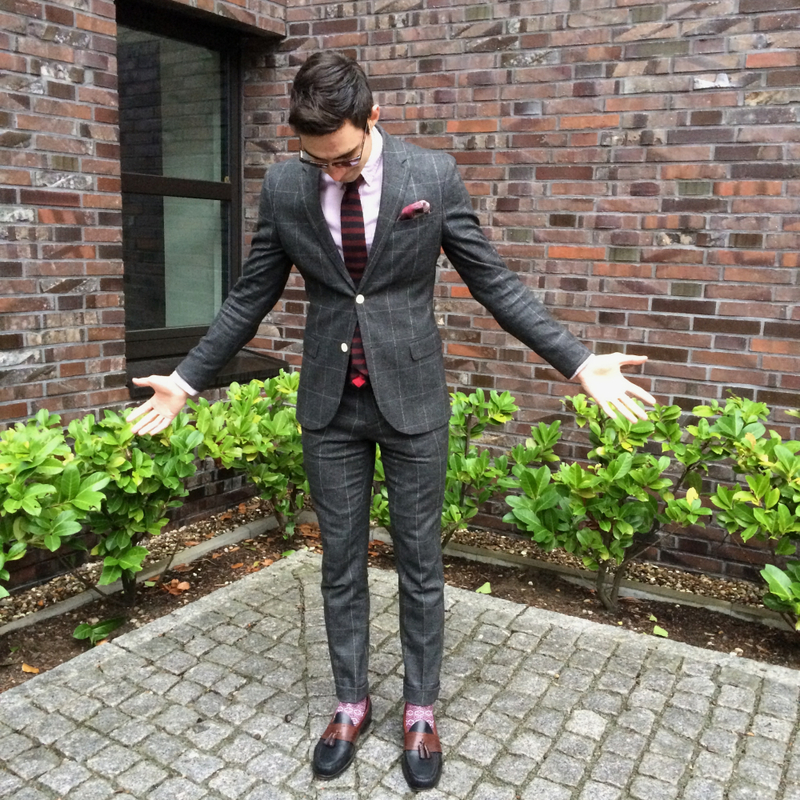 [Shirt] Club Monaco [Tie] Olymp [Pocket Square] Tiger Of Sweden [Shoes] G.H. Bass & Co. Here on Mimosas And Me I have already written about the essential suits that men should have in their wardrobe. 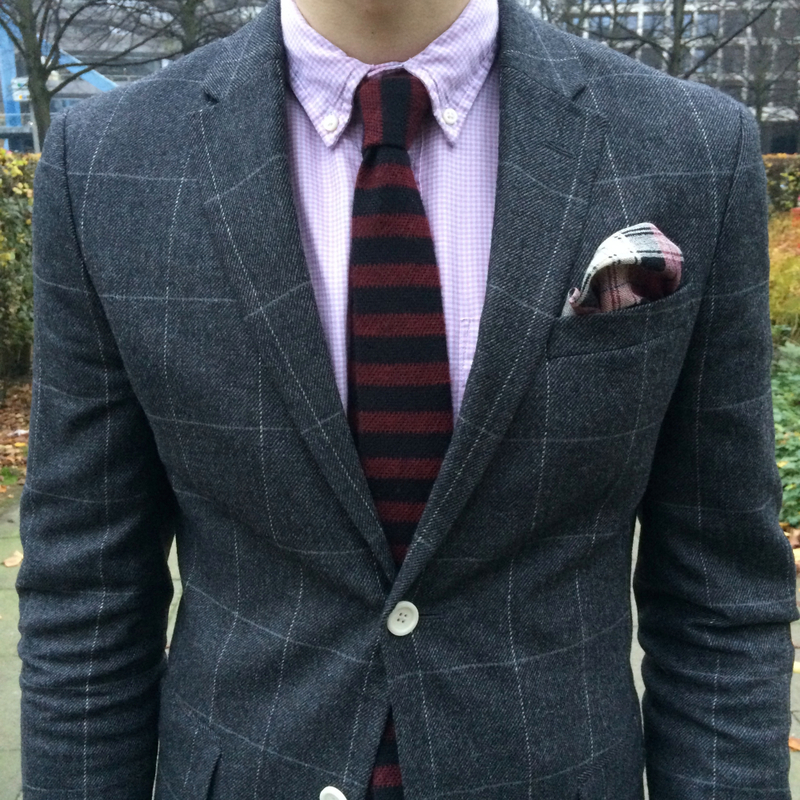 They include a dark grey suit, a navy blue suit and possibly a Prince of Wales pattern as a third option. Once you have these two or three suits then you can start to have a little more fun. Think of making a statement with a bold pinstripe or adding color with burgundy fabric or even a heavy textured suit like corduroy. 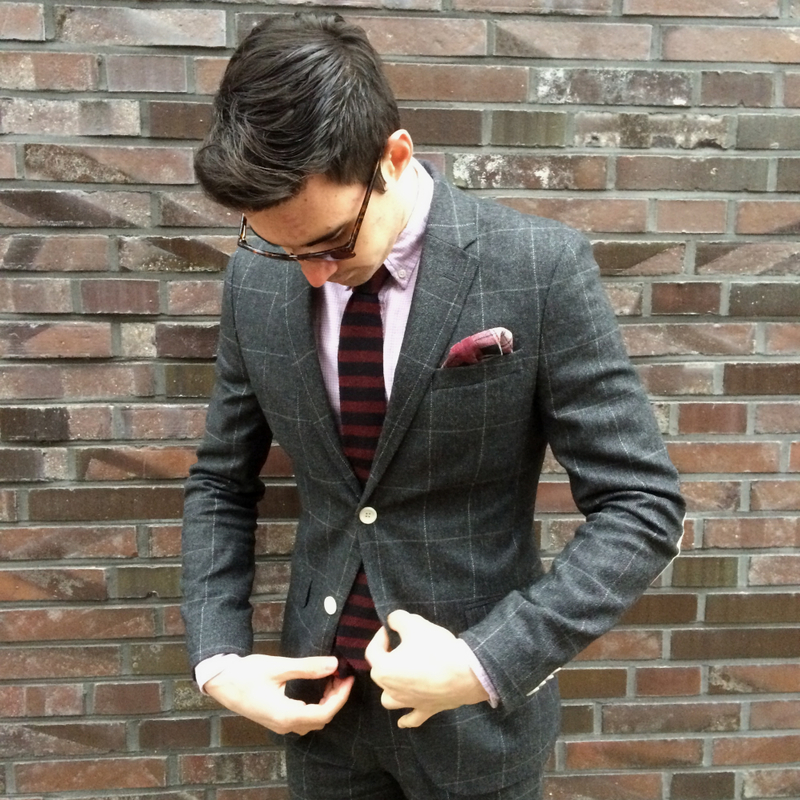 Those are all great options along with a window pane pattered suit such as the one I’m wearing here. By simply adding a little pattern it will scream "I care about the details" and we all know that the details are what matter the most. 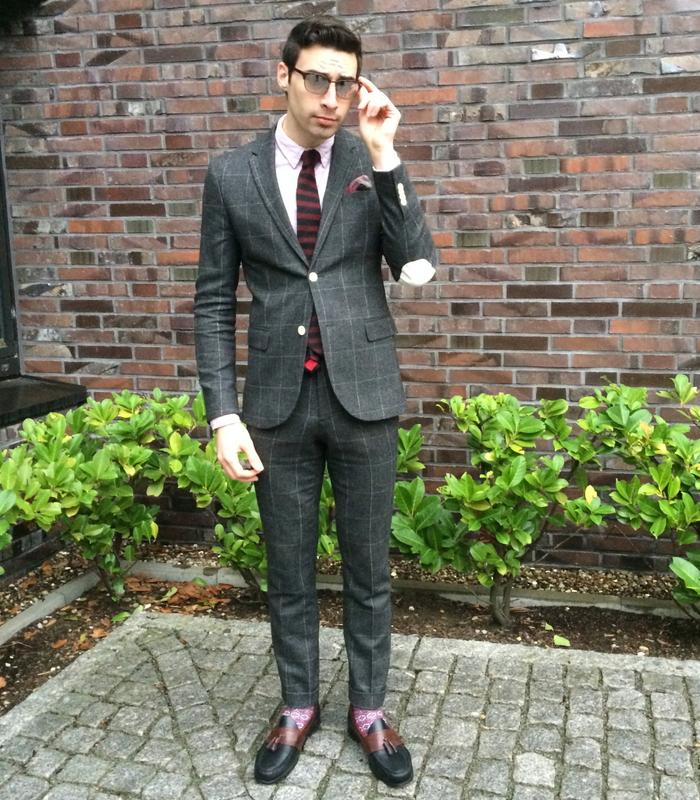 I wore this suit with a pink gingham printed shirt and a striped tie. 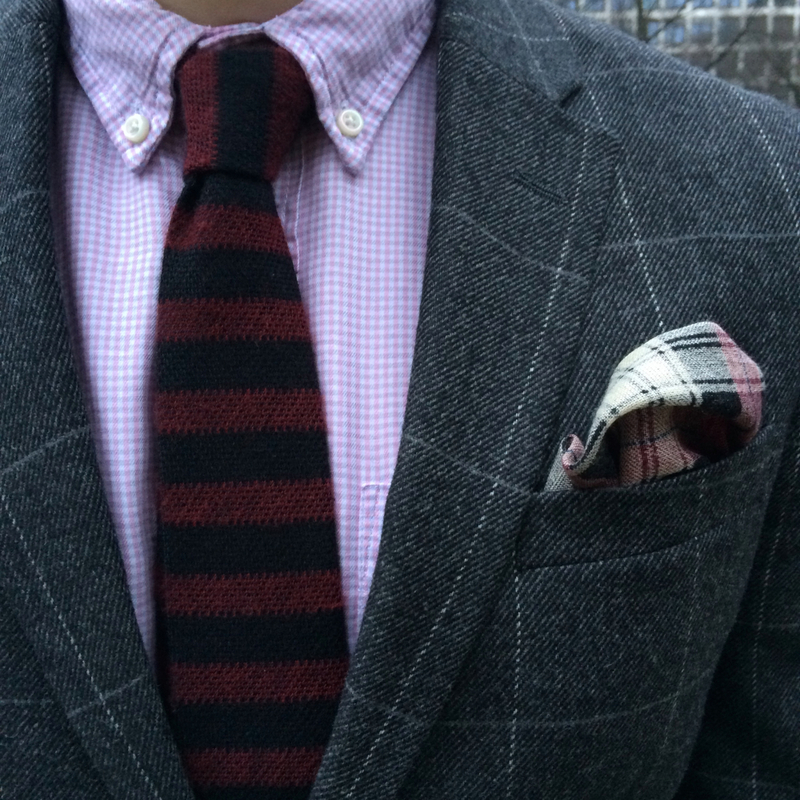 Yes it’s three patterns and a fourth if you incude the pocket square but it all works together. I think most men stress too much about mixing patterns but honestly a lot more things match than you think, so don’t worry about it too much. 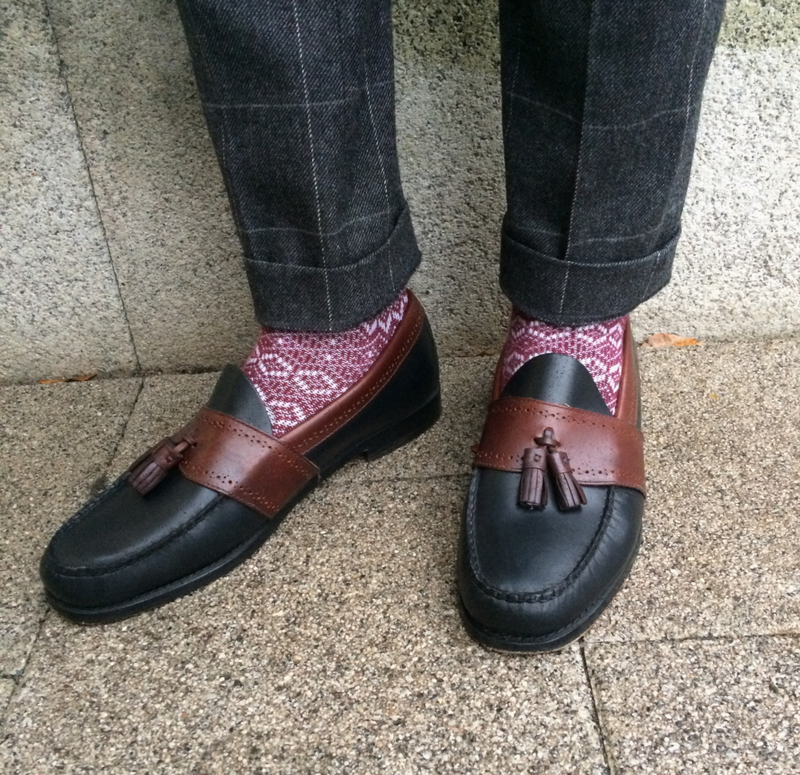 Just remember that adding more patterns will make your outfit more casual, so for a business setting I suggest sticking to a maximum of two patterns. Enjoy!